Day 5 fell on a Monday so I was rested and ready to dig into some good Chinese Food. I found a lunch companion among my fellow jurors, Scott, who was more than up for the Chinatown challenge. This was a pleasant development because it was going to give me the opportunity to sample more dishes. The choice for today was Shanghai Heping Restaurant on Mott Street, just north of Canal Street. Two weeks earlier I had eaten at Shanghai Cafe (which sits two doors down from Shanghai Heping) for Chinese New Year and enjoyed it, so I was ready to see how the two stacked up. The first thing that strikes you about Shanghai Heping is that is is fairly large and roomy for a place on Mott Street. There is a large waiting area in the front, a nice amenity when the restaurant is busy. There are big, roomy booths and large round tables for big groups. The decor is basic but nice and fairly modern looking. It is a place you can get comfortable in. The only question was the food. Does it make you want to stay? 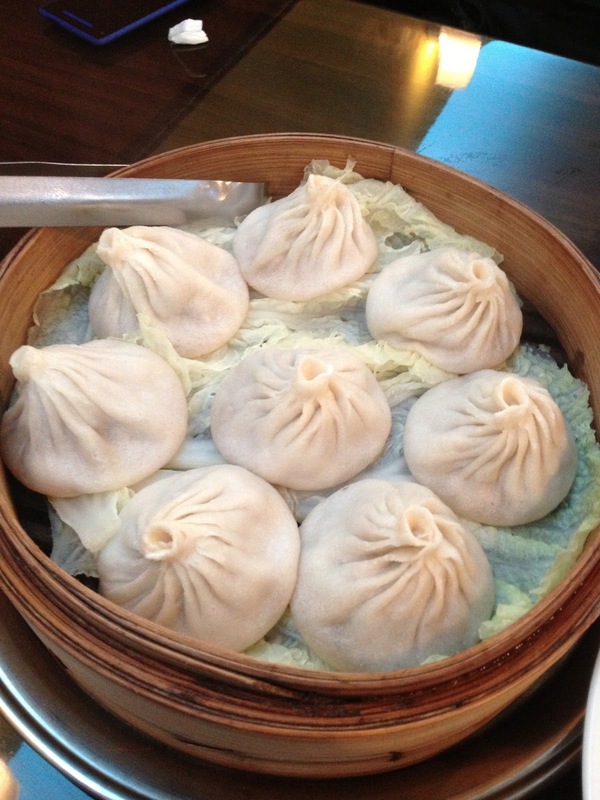 These are Shanghai Heping's soup dumplings. Fresh noodle wrapper, good filling, nice broth. If I had to choose between these and Shanghai Cafe next door, Shanghai Cafe might get the edge, but these are really good. And along with the food that follows, they more than get the job done. I love scallion pancakes. Let me amend that. I love good scallion pancakes. Scallion pancakes should be light, very crisp and fresh. Unfortunately, you rarely get good scallion pancakes. I order them all the time and suffer through dull, soggy, doughy pancakes that are closer to bad naan than scallion pancakes. Shanghai Heping's scallion pancakes are the pinnacle of what scallion pancakes should be. These are simply the best scallion pancakes I have ever had. Incredibly light, crisp to the point of shattering when you bite them. The have the slightest chewy interior. This is perfection. I could not believe my luck. There are plenty of people who frequent certain Chinatown spots for their soup dumplings. I would come to Shanghai Heping just for their scallion pancakes. Scott is a big shrimp fan, which is fine by me. He had his eye on the Baby Shrimp with Chili Sauce so we went for it. It was a winner. It was packed with plump little shrimp. The sauce was slightly sweet, nicely tangy with a little bit of heat. It was a nice dish that redeemed it from all the cloyingly sweet versions out there. There is no description of this dish on the menu. Remember the name. It may have been the best thing I ate over my ten meals in Chinatown. 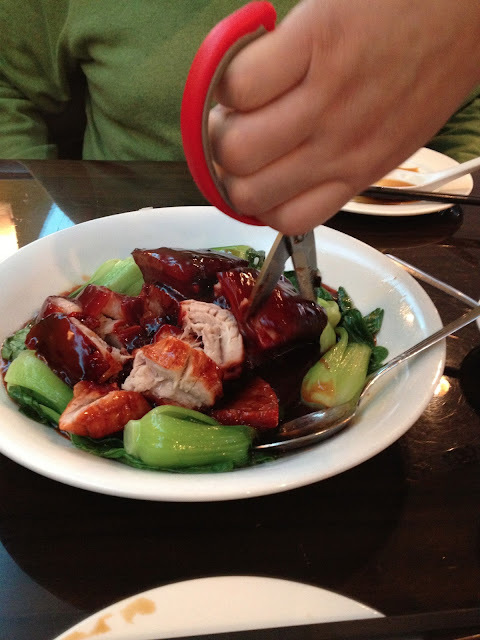 It comes out as a giant slab of pork belly bathed in sauce, surrounded by baby bok choy. I was too slow to get the picture before the server pulled out a pair of sheers and started cutting the pork into pieces. 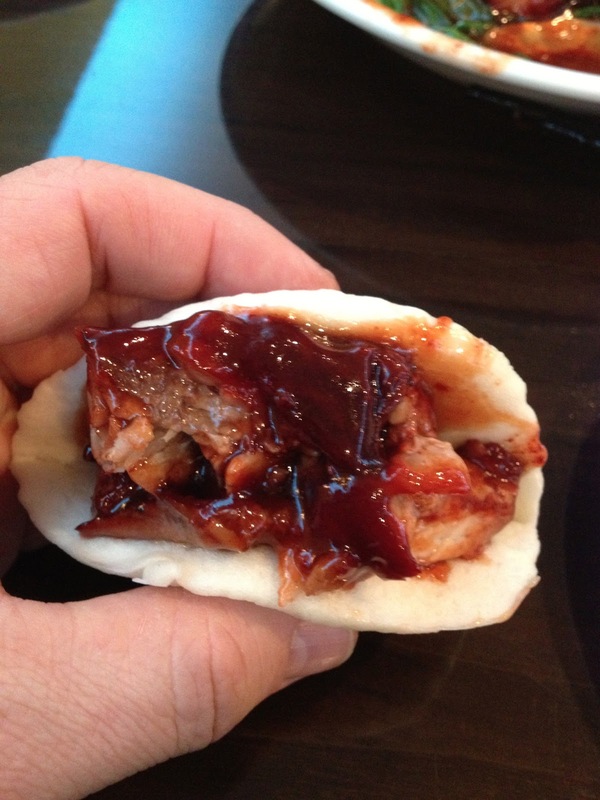 This is about as good as a pork bun gets. The pork belly itself was excellent and perfectly cooked. The thick slabs of meat and fat are bathed in a lip-smacking Chinatown meets Texas BBQ sauce. 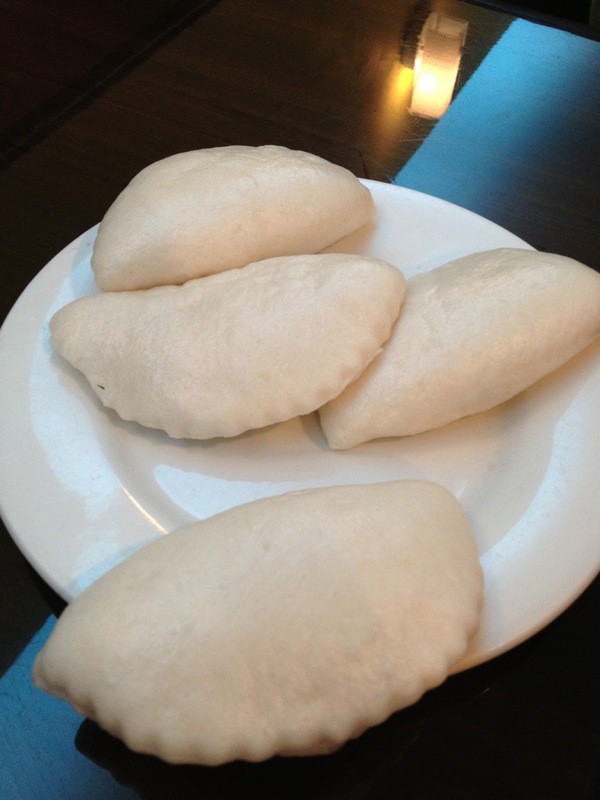 The pillowy buns are soft, toothsome and slightly yeasty. They balance the richness of the sauce and and the heft of the meat and fat. This is pork heaven. The bok choy is a great accompaniment. Bright and fresh, it is a nice counterpoint to pork. It comes out of the dish without being drenched in sauce and helps you feel less guilty about the decadent pork buns. This is a destination dish. Shanghai Heping was a winner and a true find. It is another great addition to my Chinatown go-to list and the one I will probably return to first. With four out of four great dishes, I can't wait to get back and sample more of their offerings. I will have to bring more people with me because I cannot imagine not getting the Dong Po Pork. Or the scallion pancakes. Or the Tiny Buns. Or the Baby Shrimp. Everything about Chines food is really amazing. You can have different food variety and a lot to choose from. As for me I always enjoy dining out in my favourite Chinese restaurant in town. I try and try to make Chinese food at home and it's never as good as the worst Chinese takeout. What's the secret? Such good and nice restaurant in shanghai.